Did you know that you can create your own passport photo online? All you need is a digital camera. Take a photo of yourself and upload it to our website. 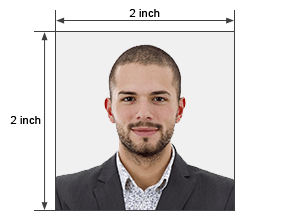 Our website uses face detection to set the exact cut size. If you are not satisfied with the automatically set head size in the photo, you can easily change the crop area. Using our website you can create passport and ID photos for more than 70 countries. 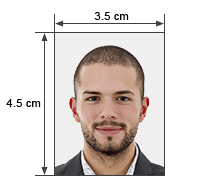 What size is a passport photo in pixels? The most used sizes are: (2 x 2") and (3.5 x 4.5 cm).